Emily Thornberry, the shadow foreign secretary, said last week that the party did not support boycotts of Israeli products. “A constant rejoinder to all those who somehow believe that opposition to the policies of an individual Israeli government can ever justify a hatred of the nation and its people, or a boycott of its products, its culture or its academics, or a denial of its right to defend itself from military assault and terror attacks. That sort of bigotry against the Israeli nation has never been justified and it never will be,” added Thornberry. Following Osamor’s statement, Joan Ryan, chair of Labour Friends of Israel, asked the shadow development secretary for clarity. The Labour party has come under criticism in recent years over anti-Semitic and anti-Israel expressions by its members. 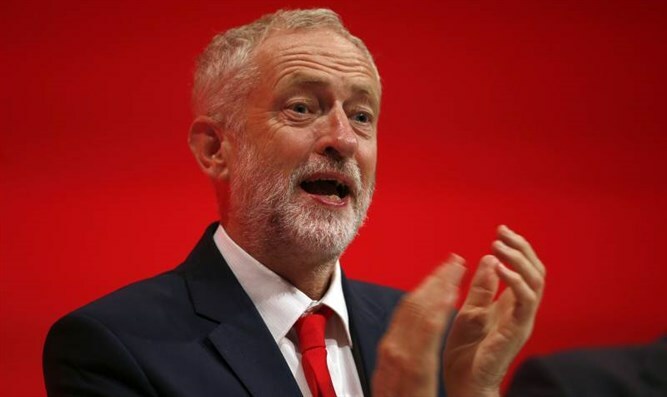 Corbyn has been criticized in the past due to his calling Hamas and Hezbollah his "friends" and for outright refusing to condemn those two terrorist organizations despite being urged to do so by local Jewish groups. Last year, however, the Labour leader said that he regretted making those comments. Corbyn has also been accused of doing too little to curb rampant anti-Semitism among members and lawmakers from his party. In recent years, dozens of Labour members have been suspended over their anti-Semitic statements. Among those suspended from the party is former London Mayor Ken Livingstone, who was suspended after claiming that Nazi leader Adolf Hitler supported Zionism. Livingstone has repeatedly refused to apologize for the comments, even after being harangued as a "racist, Hitler-apologist" by an MP from his own party.